Insects...those creepy...crawly animals that the kids just love! What a great time to add an insect unit when the trees are budding and the insects are coming out to play! I just got meal worms in the mail. You know those worm like larva that go through a metamorphosis and turn into darkling beetles! I need to bring some potatoes and a bit of corn meal so get them ready for my littles. 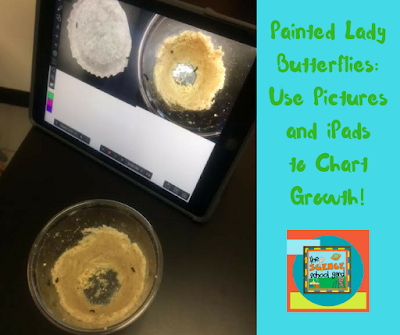 Here are some quick and easy tips to add some insect fun into your lessons without having to spend a ton and yet let your kiddos have some fun! Here are some great insect videos for you to use...I use the song first to let them see that insects aren't that icky! Time for another video...this one that gives a lot of great facts! 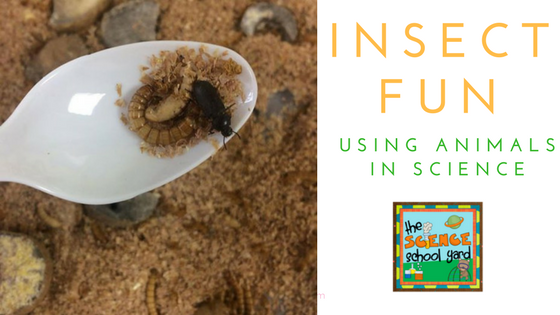 Here are some affordable and fun ways to bring insects into your classroom! 1. Use crickets found at a pet shop along with dollar store plastic containers for a fun and easy insect exploration! Poke holes in the top with a pin...get some egg cartons in the container with some moist sponges and a bit of apple or orange and you are good to go! Females have the little stick like thing on the back called an ovipositor. 2. Find some lady bugs hanging around your house right after they wake up from a long winter's nap...this is what happens in our sun room...get them in a cup with a lid and let the kiddos observe! 3. Mealworms can often be picked up at a pet shop and go through a metamorphosis from egg (which you don't see)...to larva...then pupa...and finally adult! Give each child a vile with a mealworm, potato slice, and a bit of corn meal and each of them has an observable cycle! 4. Up for ordering painted ladies? There are many different venues for purchase. You will need a butterfly house once they turn into a chrysalis...then you can tape them to the top and wait to watch them come out as a butterfly. It is our highlight to have a release party! 5. Short of funds? Go outside and observe ants! Read a fun picture book about ants and then try to locate a worker ant, a guard ant, and if your lucky a nurse ant! Finding different colored ants is also fun! Want a quick and easy pack to help you with the sheets you need to work with any of these insects and more? Find it in my insect pack! This is one of my favorite packs because I just print and go with it! I won't bug you anymore...time to bug out of here! Thanks for letting me help you make science child's play! Very useful advice on this specific located up! Its miles the little changes at the way to make the quality changes. Keep walking a weblog. Terrific weblog get proper of access to. I want to say that is one of the exceptional posts that I’ve perused in all my life.custom dissertation writing service Everything proper right here is in fact exquisite. I couldn't have asked a rather superior publish than this. .